Shiny’s Holly and Sadie are doing 10 days on Joylent, the EU equivalent of Soylent, which is a powdered complete food for humans. Find out more about the Joylent review project here, and read Holly and Sadie’s write-ups of days 1 to 3 here, days 4 to 6 here, and days 7 to 9 here. Sadie’s conclusions are here. How are you feeling after 10 days of Joylent? I can’t believe it’s been 10 days already! My original plan was to eat nothing but Joylent this entire time, but that hasn’t been possible. I went wrong when I miscalculated my portions (sigh, maths), and I’ve had to eat normal food at some social events, but otherwise I’ve been happy to do Joylent at every meal. I’ve never dreaded it or resented it, though I’ve definitely smelt a few appetising meals and lusted after them! Today has been another two-Joylent, one-food day, again for social reasons. You just can’t go to a dinner or lunch and say you’re not eating. I actually really like the 2-1 meal ratio, and I think I’m going to stick to it. It’s what Sadie’s been doing for a few days now, and it works really well. Health-wise, I feel more energetic, and I’m definitely thinking clearer. My weight’s gone down by 4 pounds over the 10 day trial, and I’ve saved SO much time. I haven’t done any washing up at all for 10 whole days, other than rinsing out the shaker. I also haven’t had to think about or buy any food, which really frees you up to think about more important things. That’s what I was hoping for, and I’m so glad it worked out. What have you learnt about preparing and living on Joylent? I’ve learnt that I’m absolutely terrible at maths. I’ve messed up my meal measurements twice because I’m doing a strange amount of calories – 1060 a day rather than the full 2119 in a bag (plus a 300-cal treat to get my up to my normal amount of ~1300 calories a day). It’s a bit tricky to figure out, but I’ve now worked out that it’s about 100 calories per 25g of Joylent powder, which helps me measure out the amount I want. It’s harder when there isn’t a scale nearby, but half my day’s portion (530 calories) is 135g, which comes up to 300ml on the shaker. I’ve also learnt that Joylent tastes nicest when you make it with hot (NOT boiling!) water last thing at night and put it in the fridge for the next morning. It’s smoother that way. I also quite enjoy having it warm for some meals, especially while the weather’s cold. It’s nicer thick, so I’ve been putting less water in than I did at the beginning. You can’t make it too thick though, or it’s hard to get the last few bits out of the shaker! I always rinse the shaker before making the next batch, but annoyingly the powder often gets stuck to water inside the shaker if I don’t dry it off entirely, and then it doesn’t mix properly. So I have to dry it fully every time, which seems daft when I’m about to put water in. What does Joylent taste like? I’ve been asked this so much! It tastes a bit like porridge, kind of a bland oaty taste. Obviously on top of that are the flavourings – banana, vanilla, chocolate and strawberry – but they’re all fairly mild flavours. It’s designed that way on purpose so you don’t get sick of it, and I haven’t. My favourite flavour is definitely chocolate though, it’s got an appealing maltiness that I like. 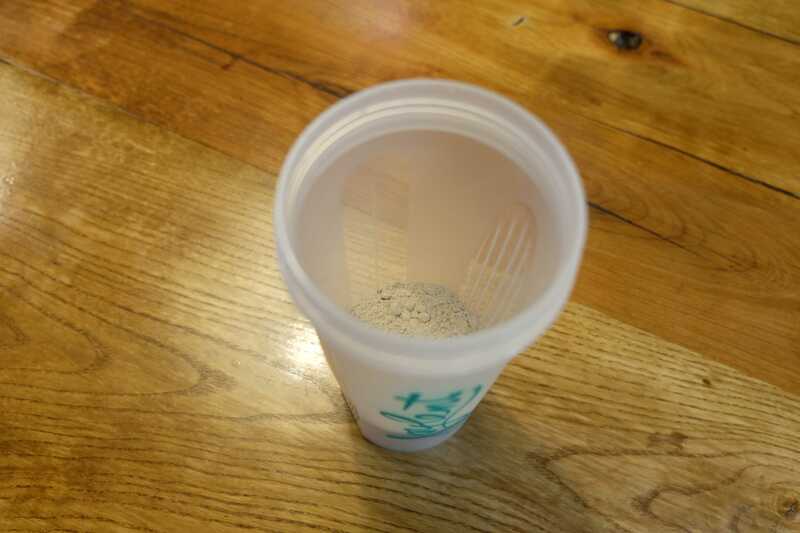 Has eating Joylent saved you money? SO much money! If you buy the smallest pack (15 meals), and you do the full 2119 calories (one bag) a day, it costs £1.50 a meal, which is pretty cheap. But the way I’m doing it is even cheaper – 1060 cals a day is half a bag, so if I get the 90-meal pack, that’s actually 180 meals for me – which works out to 63p a meal. That’s insane. 63p for a nourishing, healthy, convenient full meal. I love this stuff! Will you keep eating Joylent now that the trial is over? No question. For one thing, we’ve got heaps left! It doesn’t go off for 6 months, so it’s good to have around when you’ve run out or feel lazy. Also, it’s cheap and easy, and it’s good to know you’re getting proper nutrients. Update: a week after the trial officially ended, Holly is still eating Joylent by choice. I’ve appreciated this while series. Thank you for sticking with it for the whole 10 days. If you keep eating nothing but joylent for longer I hope to hear about it!